It's a bad sign when your own political party turns against you, that is what is happening in the case of Nancy Pelosi's bid to be the next speaker of the House. Good grief, if you have ever tried to listen to Pelosi speak it is agonizing, she should never be in a position where she is paid to speak in front of people, she may just blurt out classified info on top of that. A letter was signed by sixteen House Democrats and released Monday to oppose House Minority Leader Nancy Pelosi in her campaign for the next speaker of the House. Rep. Kathleen Rice (D-NY) along with 15 of her traitorous Democrat colleagues spoke out like reasonable people against one of their own who needed to be stopped. "We promised to change the status quo and we intend to deliver on that promise," the group's letter said. "Therefore, we are committed to voting for new leadership in both our Caucus meeting and on the House floor." The documents carry the official signatures of those 15 House Democrats. -Ben McAdams (D-UT). McAdams’s race has not yet been called. One high profile Ohio Rep. Marcia Fudge was absent from the letter surprisingly. Fudge is the only House Democrat who has considered running against Pelosi. Reps.-elect Jason Crow (CO) said, "Nothing’s changed. I know that’s a shock to a lot of people in DC that nothing’s changed. My position is pretty clear on it; I’m going to keep my promise." 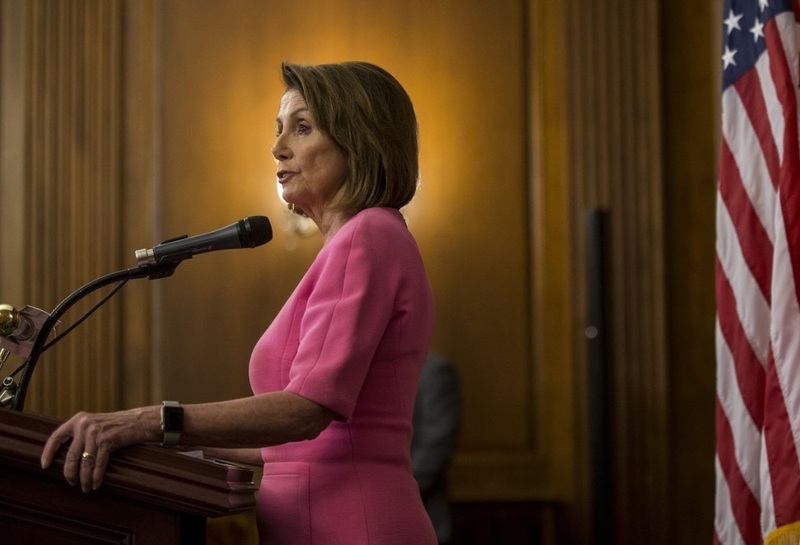 Her opponents said the object of the publicly signed letter is to demonstrate that Pelosi doesn't have enough votes to get to 218, the number required for her to become Speaker. A Democratic aide said, "If your strategy relies upon Nancy Pelosi giving up, you will lose every single time. Ninety-four percent of the caucus didn’t sign this letter."